Home | India | Ruchika case: legal loophole or bureaucratic blackhole? 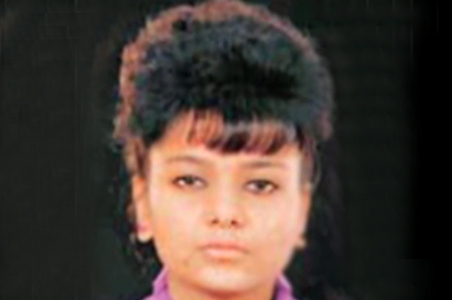 Ruchika case: legal loophole or bureaucratic blackhole? The Ruchika Girhotra case, has finally got some break through, with the arrest of Gajender Singh, the kingpin of inter–state vehicle lifting gang by the Haryana police. It may be reminded that, Ruchika’s brother Ashu was implicated falsely in an auto theft case in 1993, on the basis of Gajender Singh’s statement, which precipitated the suicide of Ruchika. On his arrest Gajender Singh has accused the then crime investigation agency of Haryana, forcing him to implicate Ashu at the behest of the former DGP S P S Rathore. The 19 year long trial after coming to limelight in the final stages of the case, ended with a light six month punishment for the former DGP, and after a huge furor in the media, is now open to complete re-investigation by the CBI. The case has once more dragged to glaring lights the vulnerability of the bureaucratic-administrative structures to manipulation by powers (from within or without) that have a total disregard to the basic minimal norms of the civil society. This is just one more case that had the ‘fortune’ of getting ‘national coverage’ from the media. Obviously, it is not the case with our ‘justice delivery system’ in practical reality, and every sensible person is aware of that. One can site innumerable instances of injustices committed by every branch of the administrative and legal system in our society. Apart from the ‘common’ citizens, the suppressed sections of our society are the most affected in almost every aspect of life, whenever they approach the system for redress. Our judicial system is totally alien to their life, in spite of asserting in decrees, that it is common for all. It is brute power from within the system that delivers them injustice. The Delhi high court’s verdict on Tuesday, refusing to exempt the CJI’s office from the purview of Right to Information Act, assumes significance in this context. It is also interesting to note that, CJ K G Balakrishnan had earlier expressed his displeasure on allowing the Supreme Court liable to disclose the records held exclusively in his office. The CJ made a distinction between the registry held in the Supreme Court and the records in his office in a bid to refuse the declaration of wealth by the judges. To put it bluntly, our CJ is not inclined towards transparency. CJ’s view on the Ruchika case, reducing to something of an isolated case of bureaucratic discrepancy is clearly in line with his anti-transparent, bureaucratic attitude. Ruchika case is not an isolated one; it is an exemplary case highlighting the fact that the bureaucracy is indeed a black hole. The defence of bureaucracy at any cost is to refuse to impart impartial justice, tantamount to taking a stand against the interests of the suffering masses. It is unfortunate to see our CJ to have declared his inclination to stay in the camp of the bureaucracy. be visible on the surface, for the prejudices are more sophisticate now.” And he has no qualms accepting, “I have suffered caste prejudices”. But again, the previous article by Pardeep Atri on the functioning of the extra–legal apparatus “Khap Panchayats” in the northern states is a glaring counter-point to our CJ’s opinion on the ‘sophistication’ of caste prejudices. In total disregard of the legal–administrative ‘justice delivery system’ – the courts and the police – an unconstitutional, extra-legal institution, perpetrating injustice on Dalits, is functioning against all the norms of democratic-civil practices. We have to accept this as an appalling fact of our social reality. That would be the first step to move in the direction of abolishing such extra-legal institutions and work towards the eradication of caste prejudices. However, any first step is not a conclusive step forward. The eradication of caste institutions and practices demand more daunting tasks. On the one hand our administrative-bureaucratic structures must be made more accountable to the interests of the suppressed castes – Dalits in particular. On the other hand, our society needs to be cultivated in civic practices and civic institutions that encourage the active participation of the common masses should flourish without any impediment.